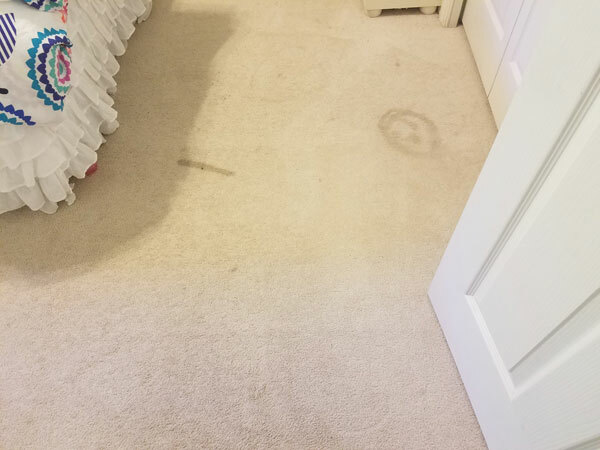 Here's a picture of a carpet stain at a Tampa FL residence where Chem-Dry's stain removal process was needed to remove this carpet spots. The home owner was not sure what her daughter had used to leave these marks in the carpet. She said her daughter does put on makeup while sitting in the general area but she was pretty sure the stains where done on purpose. One mark is a straight line and the other looks suspiciously like a smiley face. The home owner had not tried to clean them and they had been there for some time. Fortunately at Chem-Dry of Tampa FL we have a multitude of cleaning solutions to try and remove "mystery spots." When it comes to stain removal in carpet it's always best to try and find out what caused the spot in the first place. With that knowledge it's a lot easier to select the right treatment to remove the stains. Since I wasn't exactly sure what caused the spots I tried using some simple water based stain removers to see what could be removed. The spots started to release with the water based spot remover, but there was still a small shadow left on the carpet. I tried a solvent based spotter, that's designed to release oil based substances, to see if I could get more out. after one application and a cleaning pass the spots came out without issue. 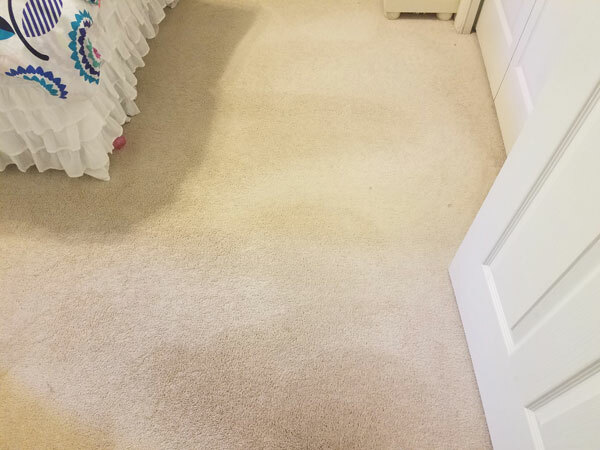 Some spots come out easily and some need to be worked to make sure they are removed completely but We have a lot of solutions for our stain removal treatment. More times then not we have something to get rid of the stain.